Wash aubergines, remove stems and cut them into slices. Sprinkle with salt and put aside for half an hour. Do the same with courgettes but cut them in thinner slices. Wash peppers remove stems and cut them into two and sprinkle with salt. Mix beer, olive oil, salt, pepper and flour and make a thick batter. Heat olive oil in a frying pan, dip peppers, aubergine and courgettes slices in the batter and fry until golden brown on both sides. Finally, drain then on kitchen roll. 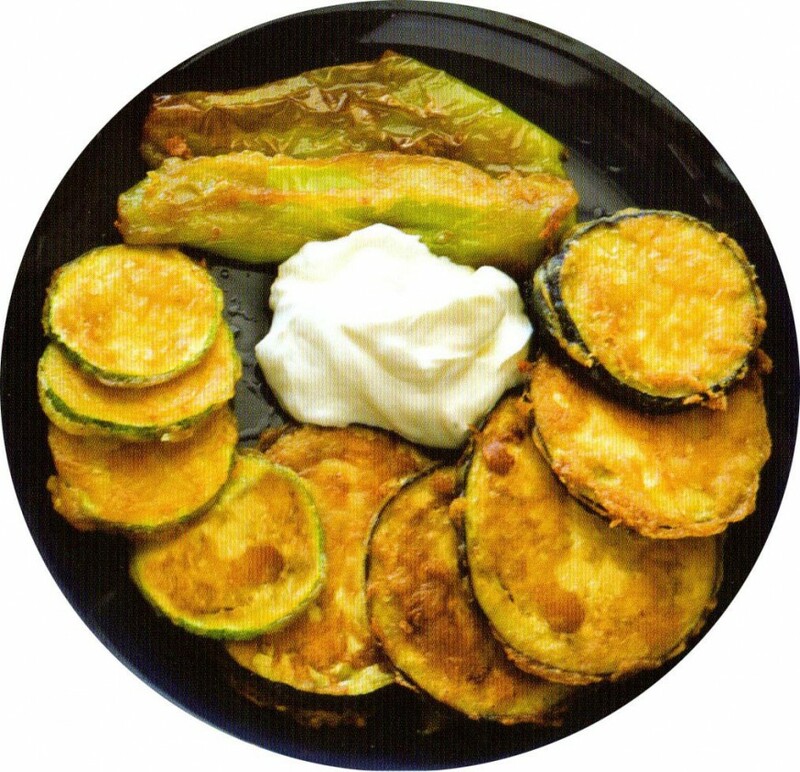 Fried vegetables are usually served with tzatziki dip.